Beat This Caption Contest 118 Winner – Caption Contest Funny Clever Witty Enter Today! Look out, here comes the Great Pumpkin! There’s more than one way to carve a pumpkin! Great Caption! He also does a great “Poke your eye out” routine… :) You WIN! Name’s Gordon…..but you can call me Gord! I’m not sure which is worse – the trick or the treat! You should see the size of my stem! 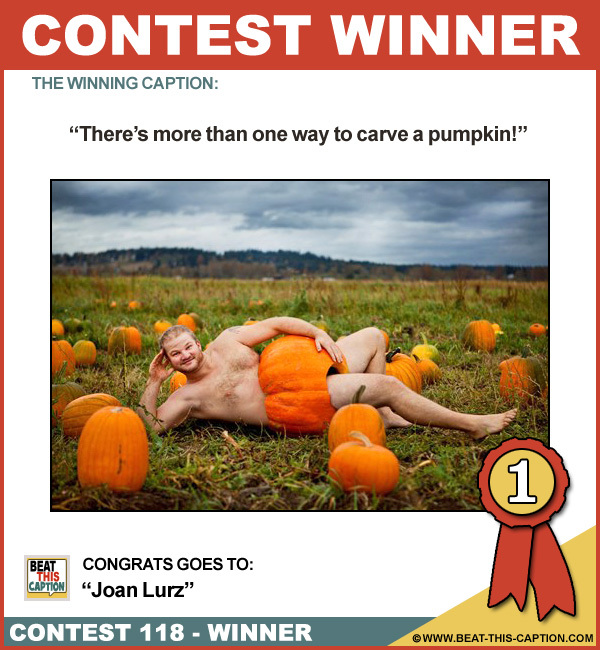 You’re practically out of your gourd! Nobody is gonna buy that calendar!